You’re about to begin your first Linux installation. Or, you may have been using Linux for years and need to know more about adding a network printer or configuring for ADSL. 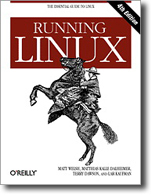 Running Linux, now in its fourth edition, is the book you’ll want to reach for. 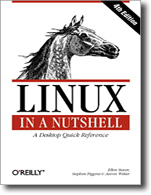 Widely recognized in the Linux community as the getting-started book that people need, it answers the questions and tackles configuration issues that frequently plague users, but are seldom addressed in other books. Running Linux has everything you’ll need to understand, install, and start using Linux. The book doesn’t draw the line at the OS, or the shell, or the GUI, or even at the point of essential applications. Rather, the authors, experienced Linux enthusiasts, have anticipated problem areas, selected stable and popular solutions, and provided clear discussions and instructions to ensure that you’ll have a satisfying experience using Linux. The discussion is direct and complete enough to guide novice users while still providing the additional information experienced users will need to progress in their mastery of Linux. The fourth edition of Running Linux delves deeper into installation, configuring the windowing system, system administration, and networking. New topics include applications ready for prime time, basic security and firewalling, package management on Debian, sound configuration, ADSL, the GNOME desktop, the Postfix mail transfer agent, and the popular LAMP configuration that combines Apache, MySQL, and PHP. 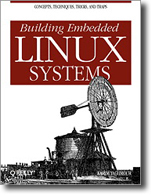 A solid foundation text for any Linux user, the book also includes additional resources for dealing with special requirements imposed by hardware, advanced applications, and emerging technologies. Whether you are using Linux on a home workstation or maintaining a network server, Running Linux will provide expert advice just when you need it.